First we will lovingly match you with a wort that will bring out all your best qualities. We will adore how you eat and greedily consume what you excrete. We'll pamper you to death keeping you not too warm and not too cold. We will check on you in the morning, think about you during the day, and say hi when we get home. 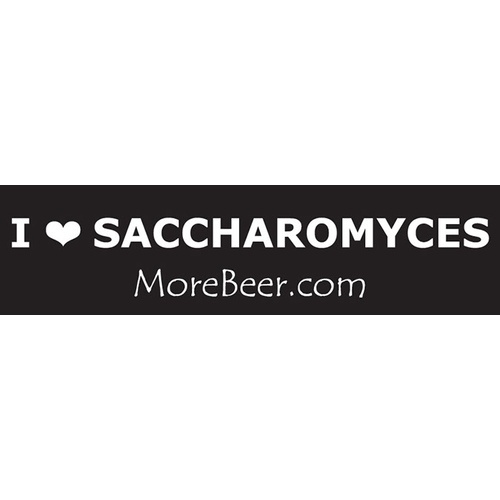 We love you Saccharomyces. And yes, lets also confuse 95% of the people in the World yet bring a sly smile to those fellow brewers and beer lovers who know what's up. Flare for the lager fridge. It's a sticker, it sticks to things. Gave it as a x-mas gift.